Vegetarian food should not have names referring to meat and dairy products, says Winston Peters. NZ First doesn't give a schnitzel about people's dietary preferences and has no beef with vegetarians or vegans. But party leader and Northland MP Winston Peters says it is time to stop the manufacturers of meatless products ripping off terms associated with the real thing. "This is serious for New Zealand because there's no such thing as 'vegetarian steak', 'vegetarian mince' or 'mock chicken'," he says. "What's at stake is the integrity of our meat exports that are worth over $6 billion, let alone the livelihoods of thousands of Kiwis, many of whom live in provincial New Zealand and especially Northland." Mr Peters compares protecting the integrity of meat and primary products from illegitimate knockoffs with the same reasons as preventing the sale of cheap unlicensed copies of All Blacks merchandise. "Meat is meat, so why is this government allowing such blatant misdescriptions to go unchallenged?" he asks. "The same applies to non-dairy products like 'soymilk' and most bizarre of all, 'dairy-free cheese'. Another threat to $11 billion worth of exports." Europeans are showing us the way, the Northland MP says. 'Soymilk' cannot be sold under that name in Europe because the word 'milk' is restricted to drinks made from mammary secretions - although Mr Peters points out that coconut and almond milk, rather curiously, have been exempted. European regulations further reserve the use of cream, cheese and yoghurt only for products derived from mammary milk. "This is not an attack on those who desire vegetarian or vegan protein, merely that the makers of those products create their own terms and cease ripping off what a steak is," he says. Poll: Does meat mean meat? Dom 'Furious' George: What do vegans eat when they're hungover? "The Merriam-Webster dictionary defines a steak as being a slice of beef, meat, fish and not mung beans. This demands a regulatory response since Section 9 of the Fair Trading Act 1986 states: 'No person shall, in trade, engage in conduct that is misleading or deceptive or is likely to mislead or deceive'." New Zealand First seemingly has an ally in Germany's Agriculture and Food Minister, Christian Schmidt, who is petitioning the European Commission to include "meat" in European directives which restrict the use of terms like 'milk' and 'cheese' to the real thing. Interviewed by a German newspaper, Herr Schmidt said names like 'vegetarian schnitzel' and 'vegan currywurst' were misleading because they could confuse vegetarians, vegans and carnivores. "I don't want anyone to pretend these pseudo-meat dishes are actual meat dishes," he said. German farmers and butchers cite concerns over 'soy steak' and 'vegetarian ham' and asking how vegetarians would respond if tripe was sold as 'meat tofu'. 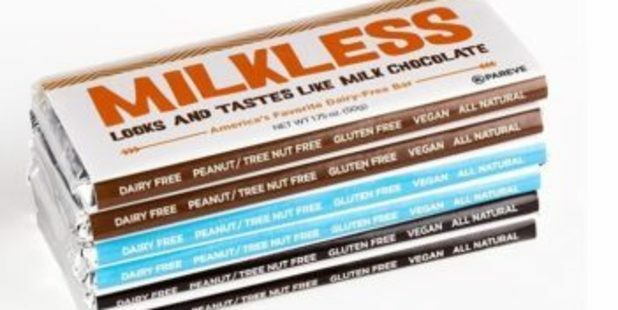 American dairy farmers are also pushing back with a Senate bill to block the word 'milk' on any product derived from plant-based ingredients, such as nuts, beans or seeds. Mr Peters says action is needed. "We face increasing competition from producers who will not shy away from using meat-centric terms to describe meatless contents."